A Kayak More Tomorrow Custom Designed Sea Kayak Journey. 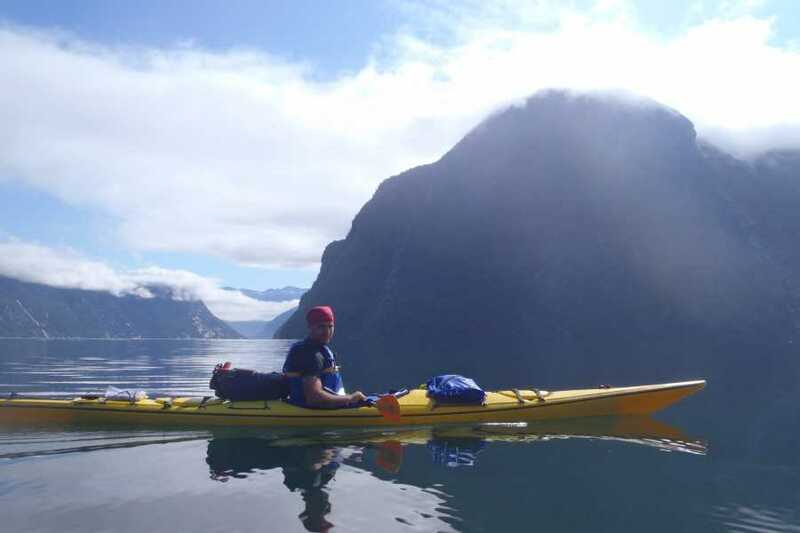 Our Sea Kayak Specialists are expert trip designers who enjoy putting together inspiring sea kayak trips tailored specially to meet your individual desires. Pursuant to Kayak More Tomorrow’s leading role in the sea kayaking industry it is our obligation to challenge our product line and the industry as a whole. We bring to every Tailor Made Trip, a trip that is designed for those who are looking for the next level in guided sea kayak trips. A presentation of the days a head, what to expect in terms of weather, paddling conditions, route description, a complete day by day break down of the trip with tide calculations and morning departure times, overview of our accommodation and a meal outline, also, you will receive dry bags from us to pack your personal gear so that you are ready in the morning; as well any changes in the program, route, etc. that were deemed necessary. Early morning, your guide will arrive at your hotel, right after breakfast at 07:30; from here we take a short 30-minute drive to our launching site. At the launch we finish packing and loading our sea kayaks, before gearing up and pushing off. Skodje Bay, our launching site for the 4-day paddle of Storfjord, we begin with some on-the-water exercises and practice of paddle techniques before heading for the Solnør Canal, here we have to time our paddle through this constriction as it flows like a fast river into Solnør Bay. Well through we head for Langskips Islands to stretch our legs have a quick snack before we enter the fjords. Paddling south we cross directly over Storfjord before stopping on the south shore for lunch. 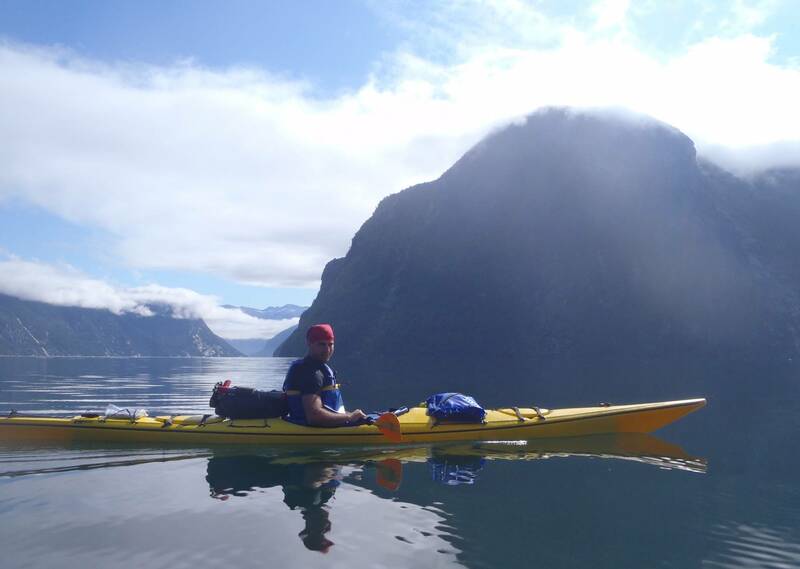 Following the southern coast of Storfjord we make our way to Ytste Skotet our paddling destination for the day. Paddling over Ramstad Bay we follow the southern coast of Storfjord to Ytste Skotet our paddling destination for the day. Upon landing at the trail head of Ytste Skotet we unload the gear that we will need for a night at the farm. The hike up to this historic farm takes about 25 min. After arriving at Ytste Skotet a refreshing dip in the creek feels wonderful after 2 days of paddling. After a good breakfast at the farm we hike down to our waiting kayaks on the shores of Storfjord; where we load up our gear and launch onto the fjord. Today we paddle the waters of Storfjord; depending on our progress and fishing luck we land at our camp-site on the shores for Storfjord. Fully refreshed we push off early this morning, we head for the light that signals the entrance to Sunnylvsfjord, rounding the headland we head down this seemingly never-ending fjord, a short break for a picnic lunch at one of the few possible landing spots. Feeling minuscule, the steep mountain walls give the impression of paddling down a deep canyon we push on; just over half way down we land at our destination for the night, the historic ledge farm at Åkernes. After landing at Åkernes the short hike up to the farm is a refreshing stretch of our legs after paddling down Sunnylvsfjord. The view is fantastic from this historic farm; and as the evening sun dips below the rugged mountains, we dine on another glorious fjord meal. We break camp early and head down to the coast and our waiting kayaks. Launching onto Sunnylvsfjord, we cross-over and follow the coastline down to the mouth of the Geiranger fjord. Rounding the point at Matvik we enter Geiranger fjord, where a welcomed short stop at the farm to stretch our legs and refuel on a light snack before pushing further down majestic Geiranger fjord. The thundering waterfalls and mountain ledge farms of Geiranger fjord include: the Bridesvail, Severn Sisters, Suitor, Gjerde, Skageflå, and Knivsflå entice us to stop and play, get your cameras ready as the world’s most photographed fjord presents many a postcard backdrop. Rounding the final bend, the hamlet of Geiranger beckons us at the very end of this marvelous fjord; it is here we end our 4-Day Paddle of Storfjord. In Geiranger there is time for a quick exploration of the tiny village while your guides load up the gear before KMT’s van transports you back to Ålesund. Ålesund, an Art Nouveau ‘New Style’ City is the gateway to Norway’s famous western fjords and the mountains of Sunnmøre. Here majestic fjords have cut their path deep into the Sunnmøre Alps, creating a surreal landscape that is both awe-inspiring and breathtaking. This is an area of raw natural beauty with snow capped mountains, towering granite walls, thundering waterfalls,mountain ledge farms, flowering fruit trees, and quaint villages tucked into small protective bays.